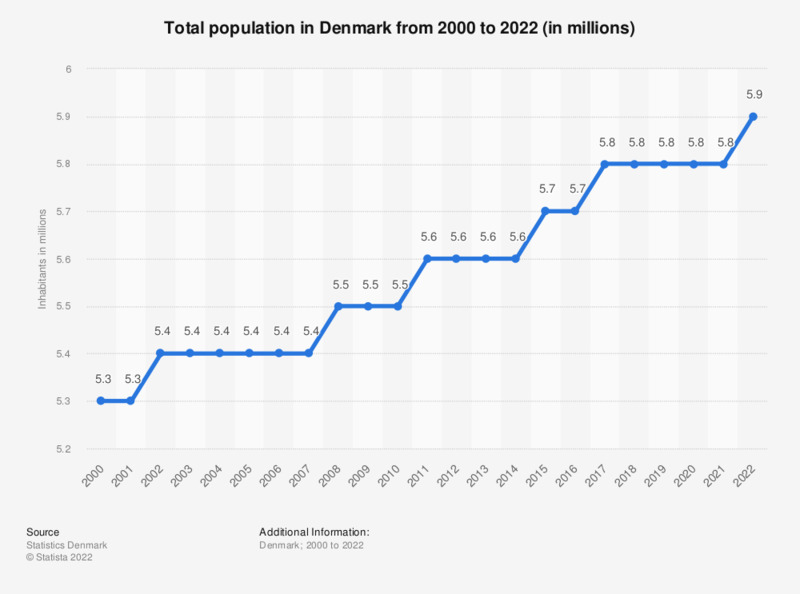 This statistic shows the total population in Denmark over the years from 2008 to 2019. In 2008, the population of Denmark was around 5.5 million people. In 2019, the number of inhabitants increased by approximately 0.3 million, leaving the total number at around 5.8 million. Statistic shows number of inhabitants as of 1st of January for each year.